Gondwana Private Game Reserve provides an authentic African Safari Experience close to Cape Town. 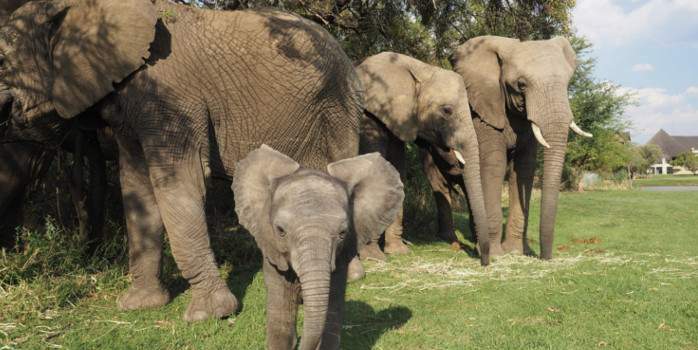 Less than a four-hour drive from Cape Town International Airport, along South Africa’s scenic Garden Route, the 11,000-hectare (26,000 acre) Private Game Park offers a distinctive and luxurious malaria-free Safari Holiday destination with free-roaming Big 5 Safari Animals (lion, buffalo, elephant, rhino, and leopard). Herds of wildlife including eland, giraffe, hippo, cheetah and zebra can be seen on the majestic landscape with awe-inspiring views of the Langeberg and Outeniqua Mountains in every direction. Indigenous Fynbos vegetation cloaks the undulating valleys, adding vivid colour and interest to a Big 5 Game Viewing and wilderness experience. This Exclusive Safari Park offers guests attentive service, wholesome African Cuisine, inspiring interiors, expert Game Rangers, and an array of activities including Big 5 Game Drives, Mountain Biking, Hikes, Africology spa treatments, and the popular Junior Ranger program. 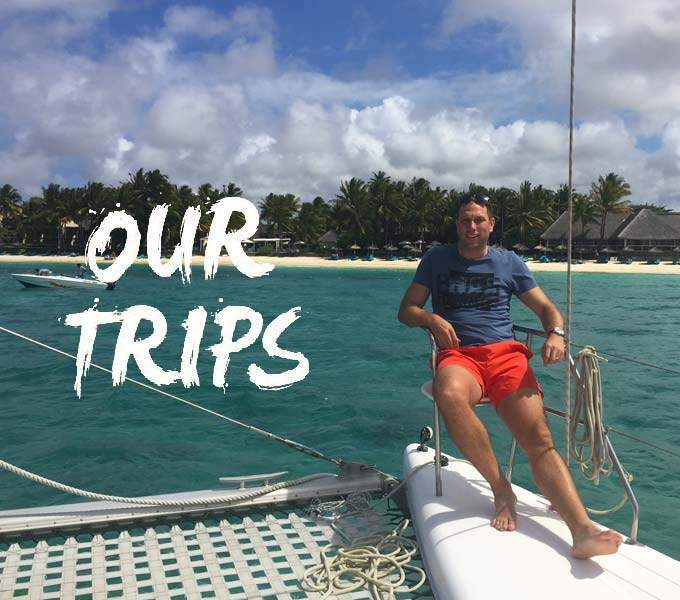 This is the ideal spot from where to explore the many features of the winelands and even farther afield in the Western Cape as we are centrally located – within and hour or so’s drive to most attractions. Franschhoek is the gastronomic heartland of South Africa spoilt for choice when it comes to dining. All that is needed to enjoy great food is to make timeous reservations. Wine tasting is as easy as driving to the many cellars in the valley or book a tour. 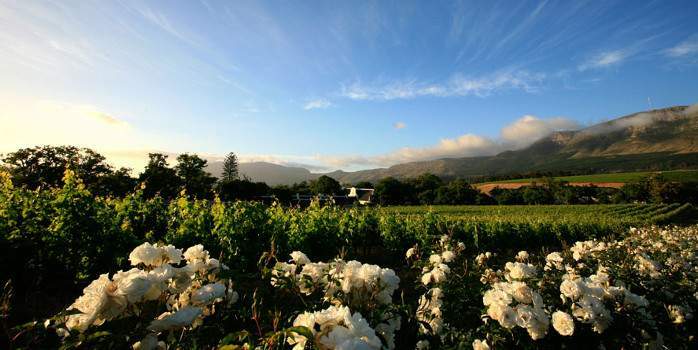 The valley offers wine & cheese tasting, cellar tours, hiking, climbing, cycling, fishing, golf, horse riding, tennis, picnics, jazz every Friday in season, monthly classical concerts, shop till you drop, health spas, facials and massages. 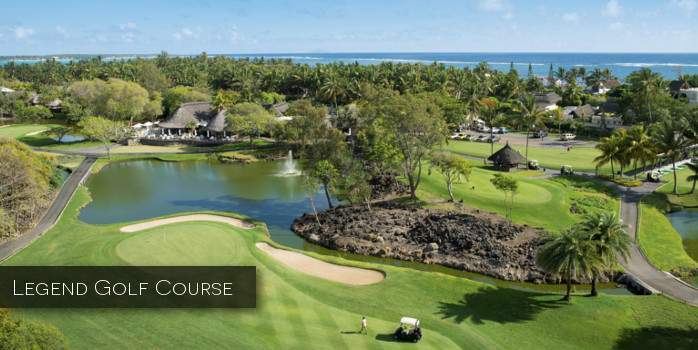 Constance Belle Mare Plage Golf Resort is a superb resort with a relaxed informal atmosphere which we can’t recommend highly enough for your Mauritius golf holiday. 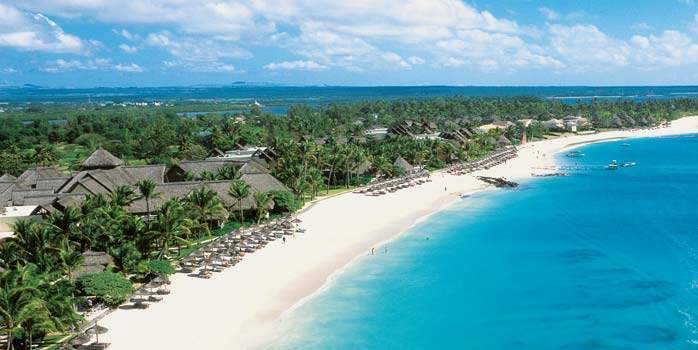 We have visited the Constance Belle Mare Plage resort many times and it just seems to get better and better. 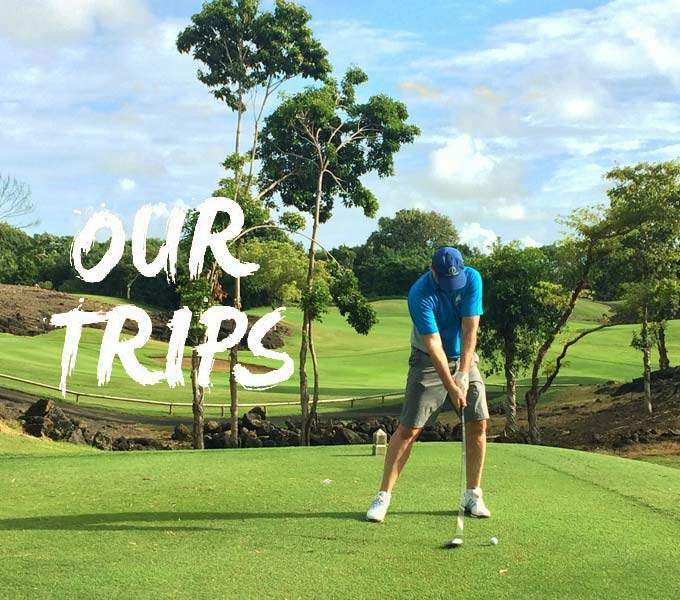 Ideal for all types of holidaymakers including honeymooners, families and those wanting a golf holiday or to be involved in one of our Mauritius golf tournaments. 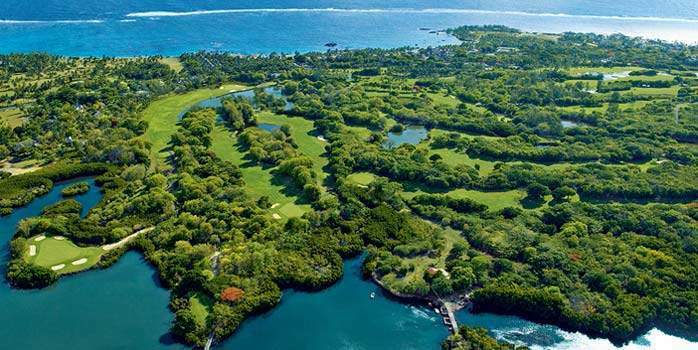 Enjoy unlimited free green fees on the Belle Mare Plage Golf Resort’s two superb courses The Links and The Legend. Situated directly on one of the islands finest beaches, protected by a coral reef the resort is perfect for swimming and water sports. 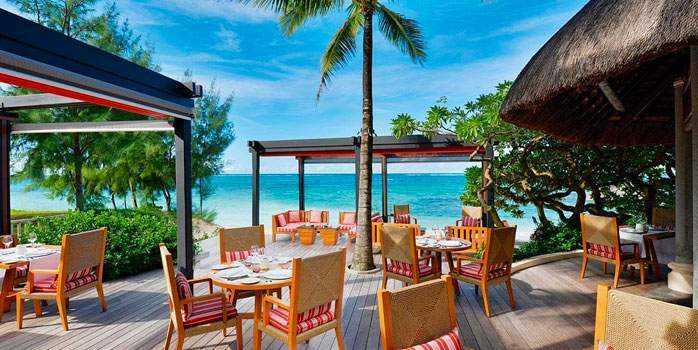 Combine this with excellent cuisine and regular live entertainment and dancing you’ll be excused for thinking you’re in paradise. 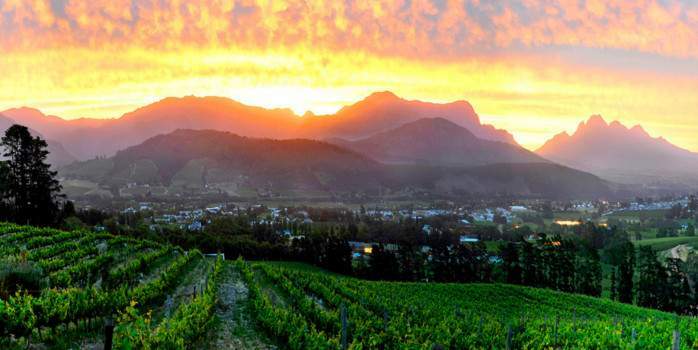 Stellenbosch lies in the centre of the fertile and very scenic wine growing area of the Cape, less than an hour’s drive out of Cape Town. With its numerous diligently restored buildings in the Cape Dutch style and its renowned university, it is one of the most attractive travel destinations at the Cape. 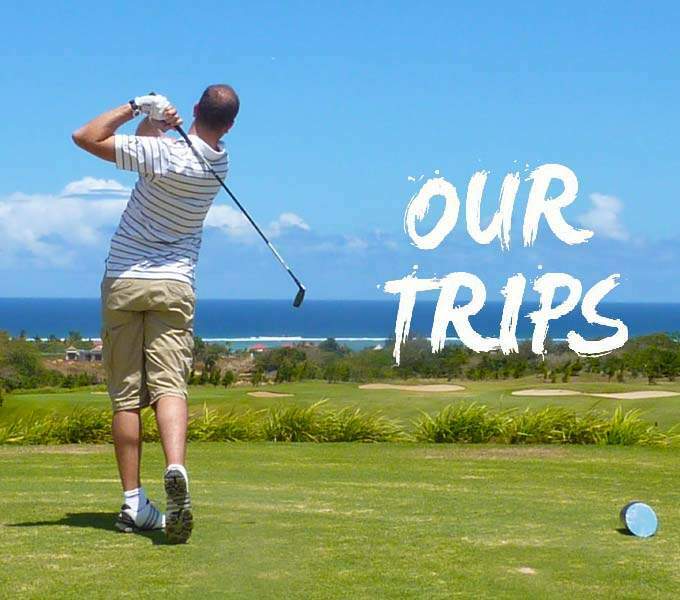 Just as rewarding is a visit to the town’s exclusive golf course situated just out of town amid vineyards. 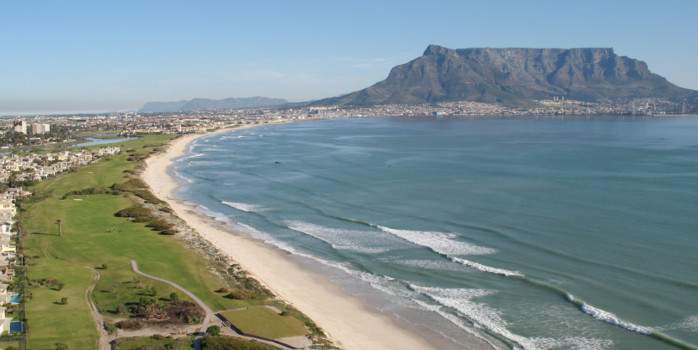 The course is – compared to those in Cape Town and on the Cape Peninsula – well protected from the wind. The – relatively narrow – fairways are lined with trees. Hole 8 (par 5) requires for instance an absolutely straight stroke in order for the ball not to land in vines or bushes. Located amidst the rugged beauty of the Western Cape, Pearl Valleys Jack Nicklaus Signature Course is managed by world renowned Troon Golf and currently plays host to the South African Open. Ranked #5 on Golf Digests list of South Africas 100 Greatest Courses Pearl Valley is simply a golfers paradise. Arguably the Best-Conditioned Course in the Country the 18-hole Jack Nicklaus Signature Golf Course lies at the base of the Drakenstein Mountains The course’s design fits in with the environment, working closely with nature on large, uninterrupted terrain requiring the golfer has to think his/her way around. Golfers can be treated to superb greens in the tranquil Clovelly Valley. This relatively short layout, built among sand dunes, rewards accuracy off the tee and provides golfers with scenic views of the False Bay coastline. There are quite a few tight holes on the golf course, but one of the best is par-4 fourth, with out-of-bounds and a stream on the left, and a golfing green guarded by a water hazard. Milnerton Golf Course is an 18-hole, par 72 seaside course situated in a leafy suburb just 10 minutes north of the city of Cape Town. 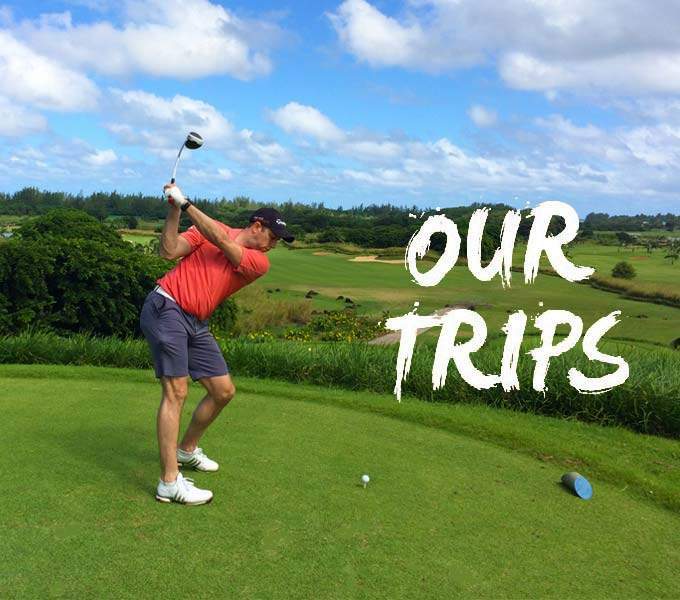 Surrounded by natural beauty, the course is a pleasure to the senses and a challenge to even the most experienced golfer – especially when the prevailing South Easter, affectionately known as the Cape Doctor – makes her house calls in the summer months! 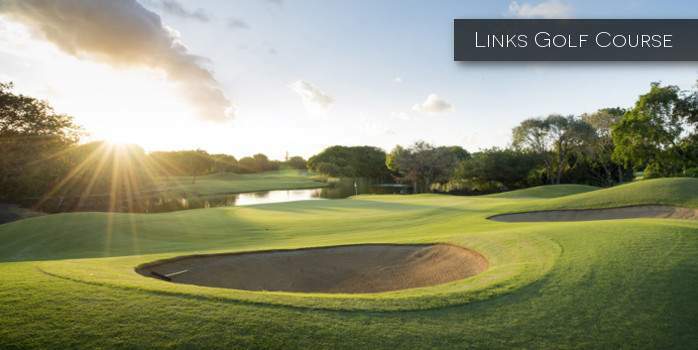 Nestled between the Atlantic ocean and the RietVlei river, this lush links-type course is relatively flat with few trees. 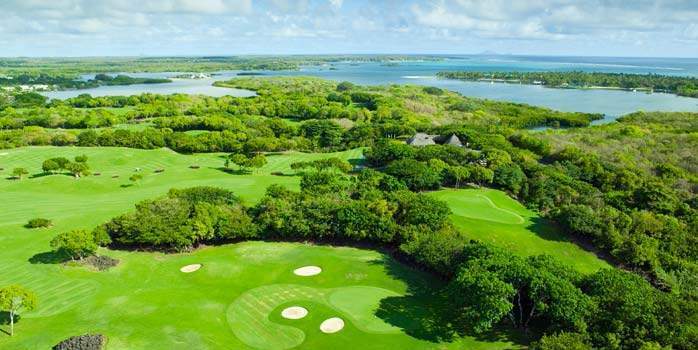 But with the sea and the lagoon bordering most holes, and the 7 beautiful water holes waiting to claim the wayward shot, it offers a truly unique golfing experience! The second Championship Golf Course, designed by Rodney Wright & Peter Alliss opened in November 2002. This 18-hole links course was conceived as a result of the success and demand encountered by Hotels Constance first course, “The Legend”. Teeing off at the par three 17th hole is a feast for the eyes and a test for the nerves. 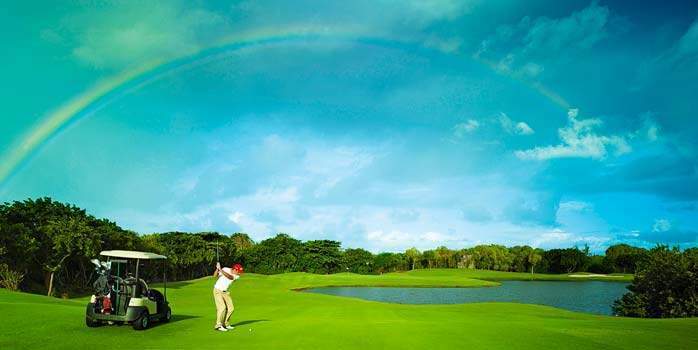 You are playing across the lagoon, but we have found that it is actually not a difficult as the green is fairly large, the sting in the tail is that the green is also tricky and a par score can be hard to achieve if you end up a long way from the hole. The course has a lot of water and thick scrub so take plenty of balls but having played it on many occasions we love this course. This is a walking course and buggies are optional and cost approx. 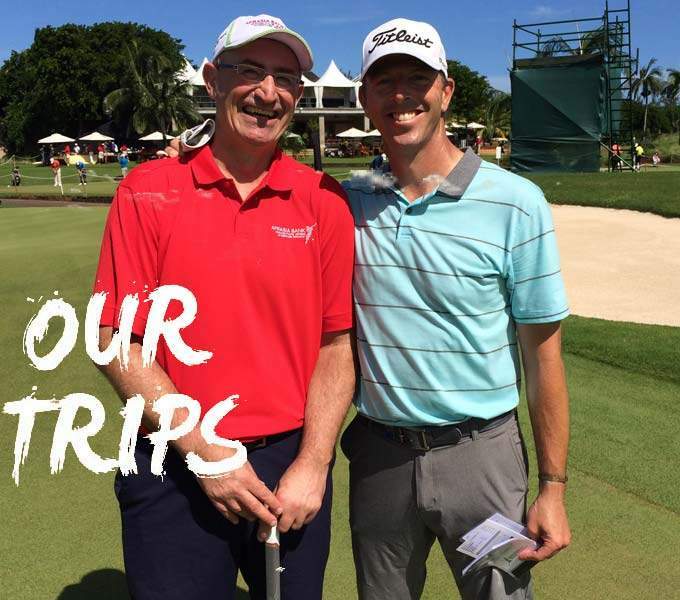 £20 per person.. Caddies are also available and cost around £3 to £5 for 18-holes.